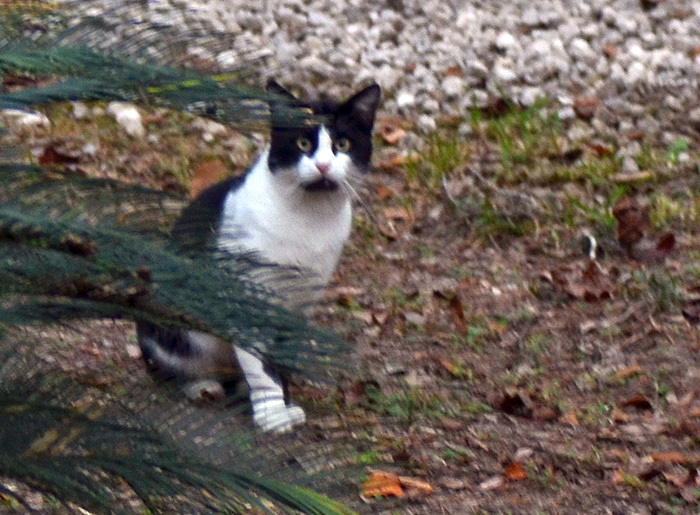 Felis silvestris catus or F. catus is a rare visitor to our yard. Wikipedia knows that "in many countries, cats are believed to have nine lives, but in Italy, Germany, Greece, Brazil and some Spanish-speaking regions, they are said to have seven lives, while in Turkish and Arabic traditions, the number of lives is six." I can say with more certainty that this cute specimen is quite shy and skittish.